To increase awareness about school bus safety among motorists, parents, teachers and students, the California Highway Patrol will observe National School Bus Safety Week Oct. 22-26. Riding the school bus is by far the safest way for students to get to and from school, but everyone must do their part. The CHP began its “Vehicles Illegally Passing a School Bus” enforcement project in 2017. During VIPS enforcement operations, CHP officers will ride on school buses and patrol bus routes, watching for vehicles that do not stop for flashing red school bus lights. The VIPS project also encourages people to report drivers who illegally pass a school bus. 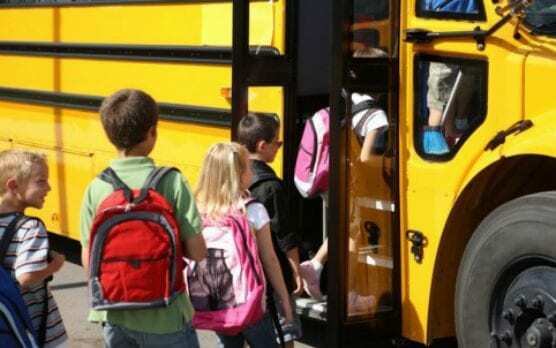 Students are about 70 times more likely to get to school safely when taking a bus instead of traveling by car, the National Highway Traffic Safety Administration reports. School buses are the most regulated vehicles on the road, designed to be safer than passenger vehicles. The flashing red lights and stop-sign arms are crucial features. More than 32,000 school bus drivers transport more than one million students each year in California, traveling approximately 253 million miles. California has not had a pupil passenger fatality since 1995. The CHP inspects more than 24,000 school buses each year. This mission of the CHP is to provide the highest level of Safety, Service, and Security. Thank you for the stats on this crucial element of student safety. Those in student transportation are proud of the part they play in transporting precious cargo.